Welcome to Mayfield's Marital Arts Academy. Military and Public Service personnel have a unique opportunity to get involved and to excel in Judo at the beginning and advanced levels simply by submitting their information via this announcement! MOJJJO (United States Military Outreach Judo & Jiu-Jitsu Organization), Incorporated and the AJA (American Judo Association) are especially interested in hearing from judoka who are currently “ACTIVELY COMPETING” and interested in vying to possibly become a representative for the United States of America in International Judo competitions. Click on the link below to open the form. MOJJJO (United States Military Outreach Judo & Jiu-Jitsu Organization), Incorporated: Mayfield's Martial Arts (MMA) Academy is rated at the highest level by the Better Business Bureau (BBB). MOJJJO, Incorporated is a sustaining Chamber of Commerce Member in Onslow County, North Carolina and is completely transparent to and for all whom we are incorporated to “Serve & Assist”; and we are located in Jacksonville, NC, near Marine Corps Base, Camp Lejeune, NC (the largest Marine Corps Base on the East Coast). MOJJJO , Incorporated’s, “ADAPTIVE JUDO PROGRAM” for Visually-Impaired Persons (VIPs) and Disabled Veterans, in conjunction with the leadership of AJA (American Judo Alliance) are but a couple of our ongoing “Outreach Missions”! MOJJJO, Incorporated has therefore begun negotiations with the LION’S CLUB INTERNATIONAL in the Region, and the Veterans Administration (VA) to discuss the aspects of “Joining Forces” to collectively assist us with identifying participants for the accomplishment of our respective Outreach Missions. ADAPTIVE JUDO is a Veterans Administration funded and approved activity that is considered to have therapeutic and rehabilitative value for Visually Impaired Persons (VIPs) and Veterans receiving care for Traumatic Brain Injury (TBI), Post-Traumatic Stress (PTS), also known as, (PTSD), or Post-Traumatic Stress Disorder. Get your Luminary by or before June 21, 2019. 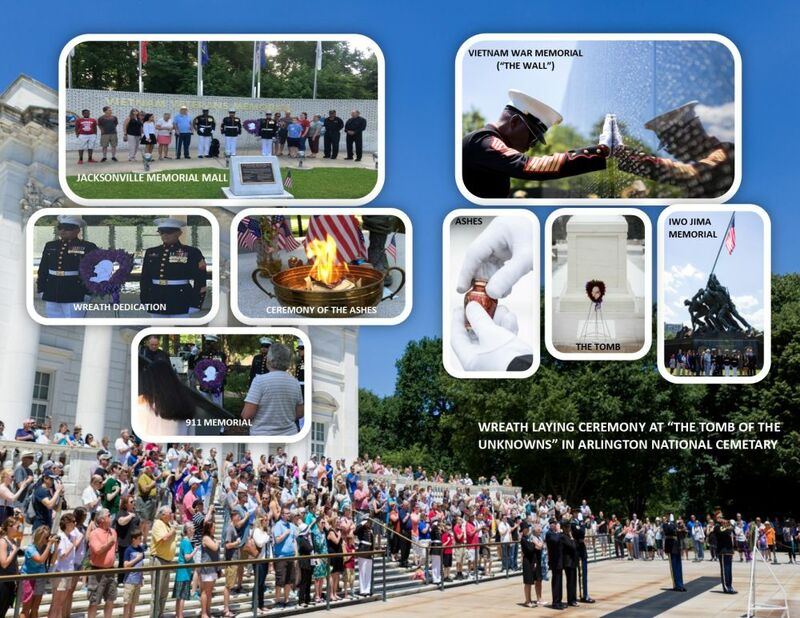 Make your Donation, and plan to attend the Patriotic Tribute & Ceremony of the Ashes on June 21 & 22, 2019! Even if you personally cannot make it, we can still accept your Luminary! If you do not know a Military or Public Service person, you are welcomed and encouraged to make a Donation to "Honor & Remember Our Fallen!"